Q. How do I share data privately in ORDA? 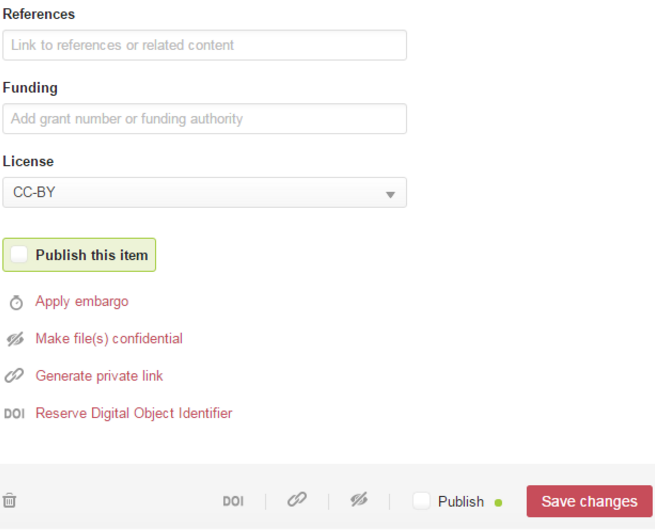 Before publishing an item in ORDA, the dataset may be made available privately. 3. This private link opens a view of the item record that does not include the authors’ names, therefore this will be suitable for sharing with peer reviewers. The private link will expire after one year and therefore should not be used to cite data in publications.